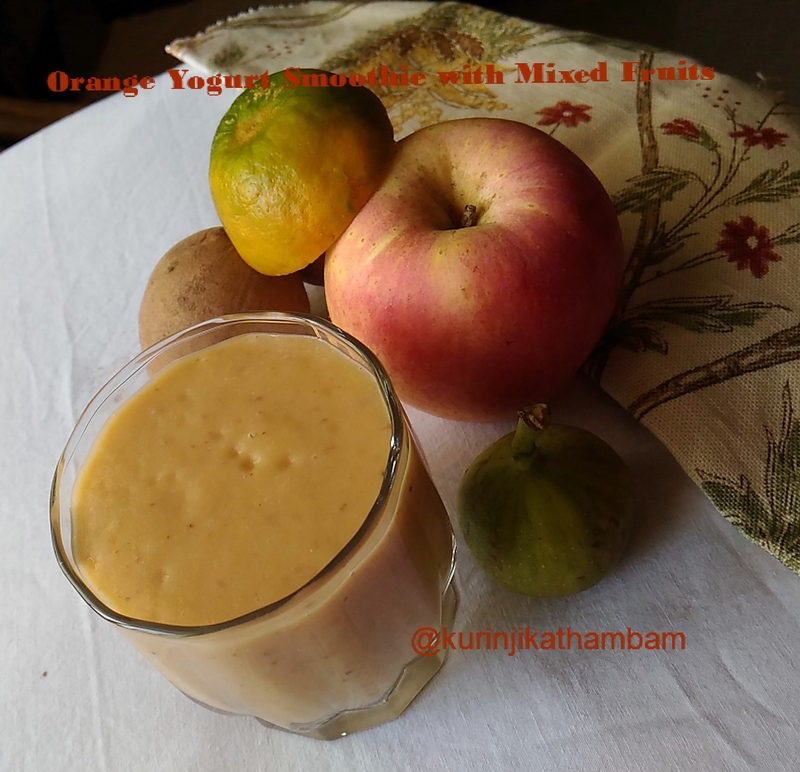 Yogurt and Orange combination gives a very sweet and sour taste to a mixed fruit smoothie. The Aroma of Orange also makes the smoothie very tempting. A Bread Sandwich along with this smoothie will be a very energetic and filling breakfast. 1. Remove the skin of the banana and cut it into small pieces. 2. Peel the skin of the apple and chop it into small pieces. 3. Peel the skin of the fig and sppotta and chop them into small chunks. 4. Extract the juice from the orange and keep it aside. 5. 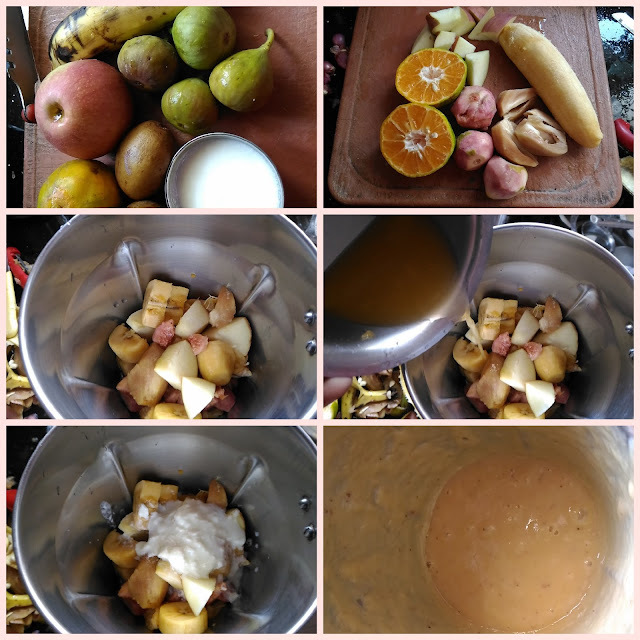 Grind all the fruits (from 1 – 3), orange juice and yogurt into a smooth paste using the blender or mixie. Serve it immediately. 1. You can use store bought orange juice also. 2. I have used chilled yogurt but you can use without chillness. 3. I have used fresh orange juice and orange pulp without seeds. 4. Use any fruits instead of Apple, Fig and Sappotta.